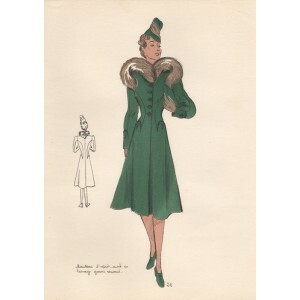 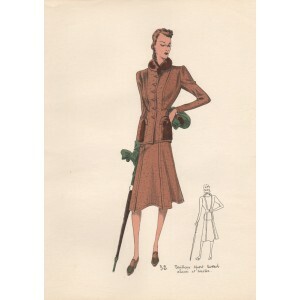 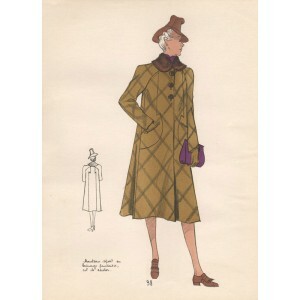 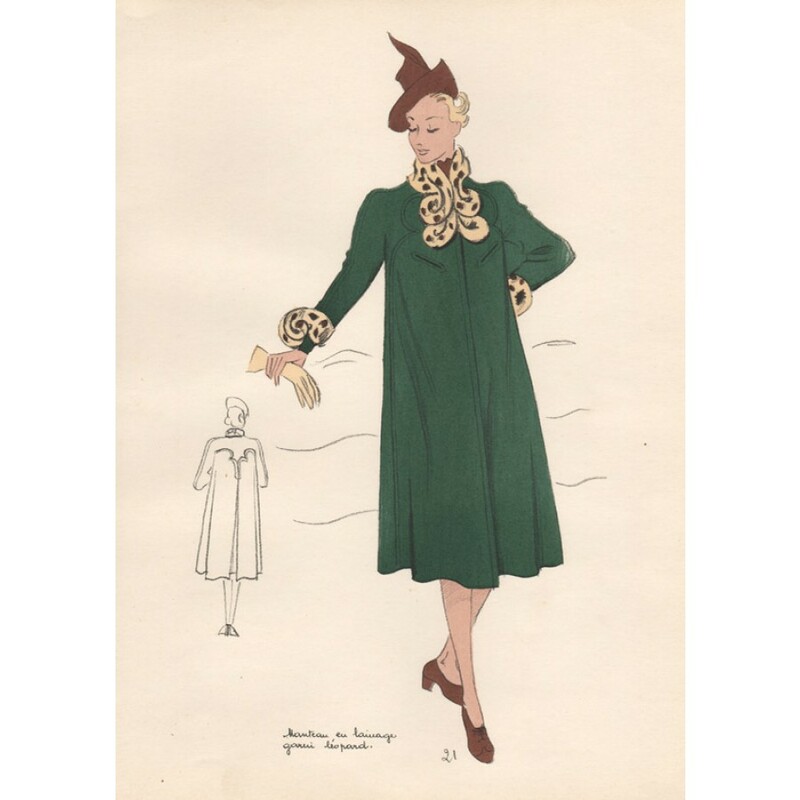 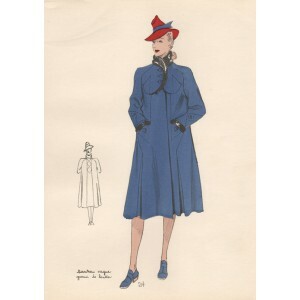 French fashion design depicting coats for the Winter of 1940. 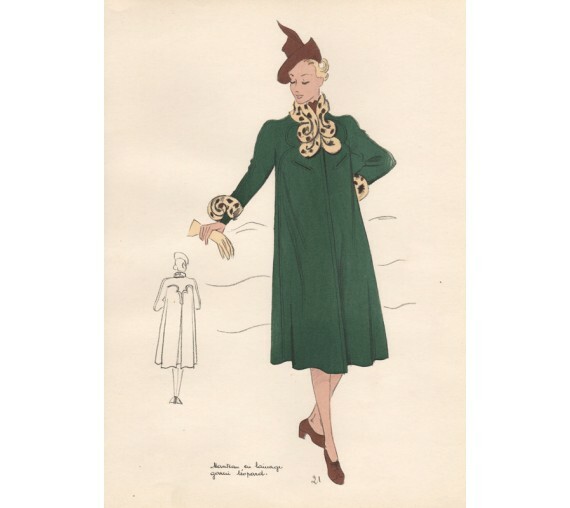 Colour lithograph published by A Louchel in Paris. 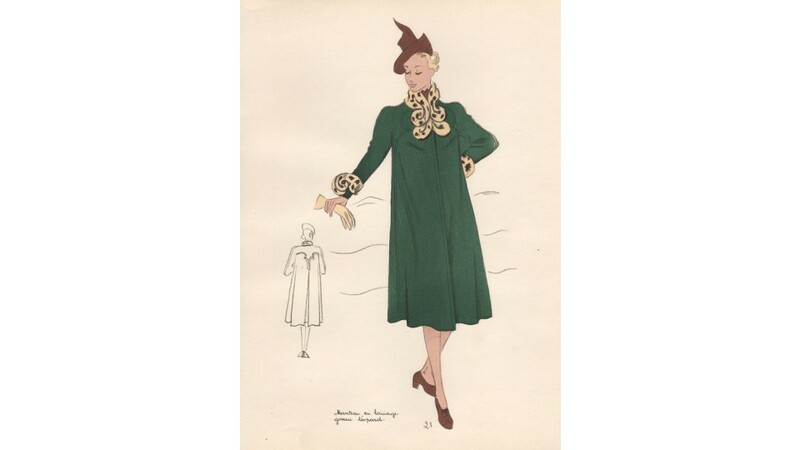 From a French folio 'Mes Croquis' depicting the fashions for women in France of Winter 1940. 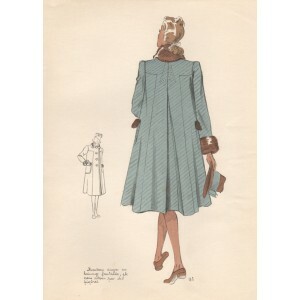 Each has a brief description in French and a black and white sketch of the reverse.